Gorgeous luxury waterfront home located in the highly coveted Shore Acres neighborhood! Imagine living in a place where most of us only dream to go on vacation. This magnificent home sits on a large waterfront lot & boasts charming detail & quality finishes throughout its 1,523 sqft floorplan. The meticulously maintained floorplan is open & flows easily from one room to the next, making it perfect for entertaining. 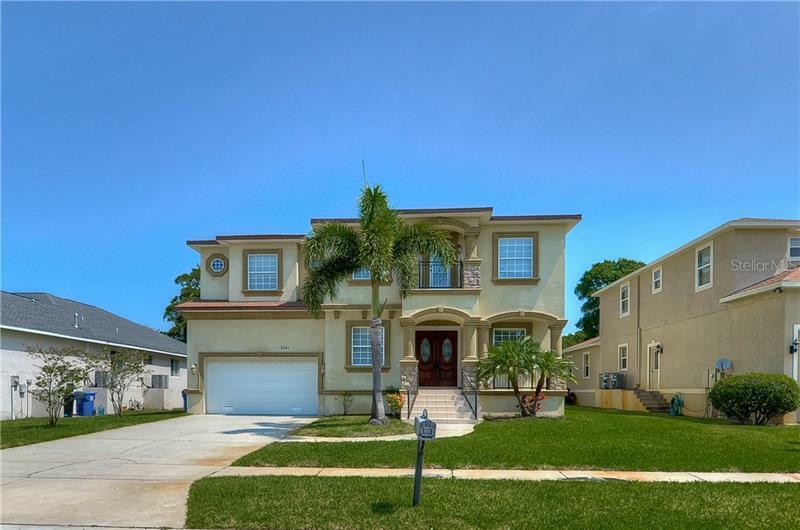 This spacious home features 3 large bedrooms, 2 baths, gourmet kitchen with eat in breakfast bar, formal dining area overlooking the water, & oversize 2 car garage. Impressive styling and beautiful finishes gives this house the feeling of home. Relax with a glass of wine on your own private dock overlooking a serene canal. Definitely a water lover & boater’s paradise where you can catch your dinner fishing, enjoy the exotic birds, or watch the dolphins swim by every day. Lots of backyard space for entertaining family & friends, barbecuing, or just relaxing. Plenty of room to add a pool if desired. It truly makes for a private oasis to relax & unwind. Great location and close to everything from shopping to restaurants with easy access to the highway, and only 20 minutes from Gulf Beaches! Priced right for a quick sale. A must see! Step inside this listing by viewing the 360 virtual reality tour that lets you see every square inch of this home! Please call to schedule a private showing.